I've written two sports-related books published by Scribner (Simon & Schuster). If you’re not going to hire me, the least you can do is click here and buy a book or ten. My kids need to eat meat tonight. No pressure. 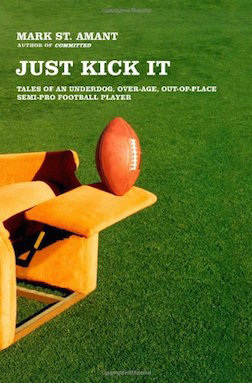 “In the tradition of George Plimpton's Paper Lion (1967), portions are laugh-out-loud funny, but, at other times, reading through misty eyes will be a challenge...A good bet to be one of the year's best sports books.” —Booklist, Starred Review My appearance on ESPN morning show "Cold Pizza" during the Committed launch. And ere's me at Borders in Boston doing a book reading to literally TENS of people.